Apprentice crew members on their old boss, Donald Trump. Former Apprentice crew members on their old boss, Donald Trump. 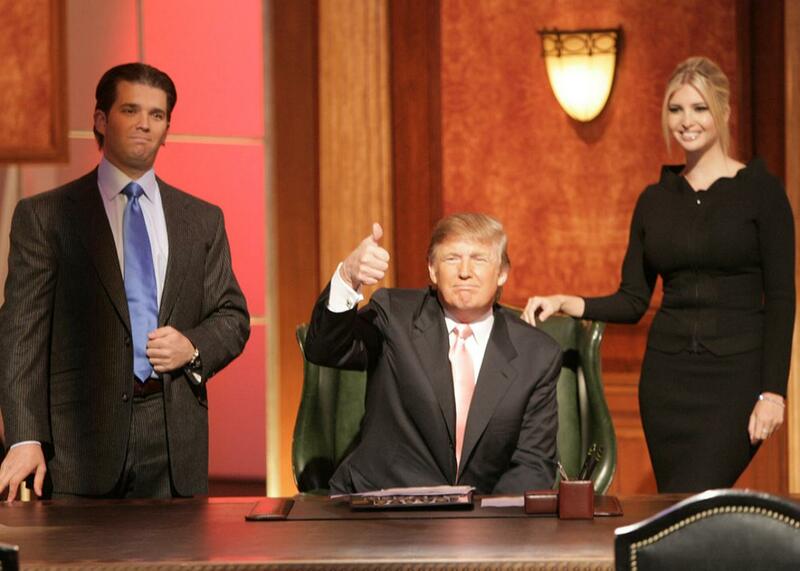 Donald Trump, flanked by Donald Trump Jr. and Ivanka Trump, during The Apprentice Season 6 finale at the Hollywood Bowl in Hollywood, California, on April 22, 2007. We know about Donald Trump’s on-camera persona as the star of The Apprentice: his tyrannical management style, his gruff demeanor, his terse catchphrase. But what was Trump like between takes, when the cameras were off but the crew was watching? Slate reached out to find people who’d worked on The Apprentice during Trump’s tenure. Most people we contacted declined to talk, citing nondisclosure agreements they’d signed as a condition of their employment on the show. But three were willing to speak—as long as we didn’t use their names. And one spoke to us on the record. What do they recall about Trump’s on-set behavior? It’s a lot like his campaign behavior. “He’s not good with people touching him, he’s very germophobic,” said one crew member. “We were instructed never to touch him—he wouldn’t shake hands,” said another. “I’ve been struggling with the whole experience of watching Trump go from punch line to GOP nominee,” Pruitt says, “because of how it reflects on reality TV, which is the work I’ve been dedicating my life to for the last 10 years. The associations are glaring. Those in our business who hadn’t already taken stock of what we wrought, we’re doing it now. I might have signed an NDA back in the day that would allow someone to come after me, but I feel almost a patriotic duty to talk about this. Are you a former Apprentice crew member or contestant with stories to tell? Email us at tips@slate.com.